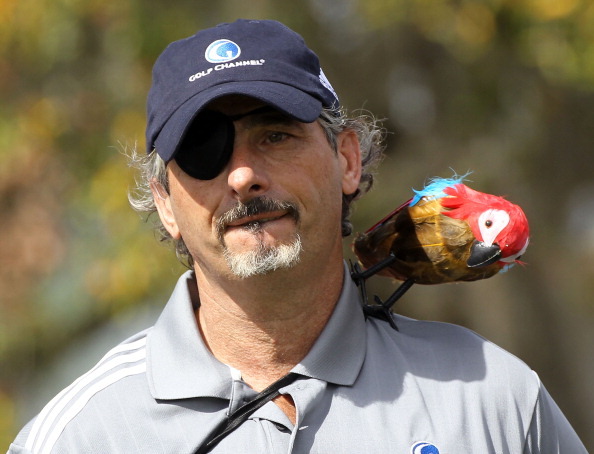 When we learned last week of David Feherty’s departure from CBS, it came as a shock. But back in March, Feherty told AL.com that both of his contracts with CBS and NBC Sports Group were to expire this year. One had to wonder why Feherty and CBS could not come together on an agreement whether there was some discord between the two parties or if there was something else. Multiple sources say the CBS situation was soured by the two factors: Feherty wanted a booth job rather than roaming the fairways, but Nick Faldo already shares that duty with Jim Nantz; and (Feherty’s representation at) CAA (Creative Artists Agency) was demanding a salary figure CBS was unwilling to meet. So apparently after 19 years with the Tiffany Network, Feherty was tired of being an on-course reporter and wanted to be in the tower as the main analyst. However with CBS utilizing Nick Faldo as the man next to Jim Nantz, a move to the 18th tower was highly unlikely. Feherty does has a relationship with NBC through Golf Channel and has a weekly interview show “Feherty” that airs on Monday nights. But his contract with Golf Channel also expires this year. NBC has the British Open, starting in 2017, the Ryder Cup, the Players Championship and numerous other PGA Tour events. If Feherty wants a tower position, he would have to displace Johnny Miller on NBC and Sirak writes that the Peacock is interested in having David Duval eventually replace Miller when he decides to retire. Sirak says if NBC/Golf Channel signs Feherty, it would want him to remain as an on-course reporter, a position that it appears he no longer wants. NBC has fewer golf events than CBS while Golf Channel airs all of the PGA Tour events. Feherty could pick and choose which tour stops he works and it’s also the home of the Ryder and Presidents Cups plus there’s the Open Championship that will become part of NBC/Golf Channel’s stable in 2017. At Fox, Greg Norman is the analyst for the U.S. Open, Women’s Open, Senior Open and U.S. Amateur but Sirak says he’s filling the position only as a favor to his friend, Rupert Murdoch who owns Fox. This being his first year in the booth, Norman left himself open for some criticism. If Fox hires Feherty, he could be a good addition and he might even draw out some humor from Norman. So Feherty will have some options for employment in 2016 and it will be interesting to see where he lands.